The U.S. Department of Energy Solar Decathlon 2017 is only eight months away, but the competing teams have been hard at work for more than a year. Competition organizers recently reviewed team design development drawings, which reflect about 90% completion of the design details. Select the style that suits you from the list above, or read on for a full preview of the Solar Village coming to Denver in October. Think about this. The Solar Decathlon requires each team to design and build a house, then take it apart and ship it to the competition site. On the competition site, teams re-assemble their houses, then compete in 10 contests and provide free tours to the public. After the competition, teams take the houses apart again; and ship them to their final destinations, where they re-assemble them all over again. Needless to say, modular construction, in which sections or “modules” of the house are constructed in controlled conditions and then shipped to the site for final construction, is an appealing idea. These two teams are taking an innovative approach to modular construction. Rather than prefabricating three-dimensional modules, such as an entire living, dining, and kitchen area of a house, the Netherlands’ team is taking a two-dimensional approach to modular construction. Their house will be assembled from façades, walls, floors, and roof sections that are manufactured, transported to, and assembled at the building site to minimize waste and construction time. Individual components of the house can be moved around to create a new layout or removed and reused in an entirely new structure. Maryland’s reACT house is intended to serve as a seminal prototype for a “house as a kit of parts” design concept, with the kit consisting of separate components and systems parts that can be efficiently manufactured, transported, assembled, and disassembled. This home-building kit can be readily adapted to a range of clients, communities, construction technologies, and ecological environments. Given Solar Decathlon houses must be transported to the competition site, it’s always a surprise to discover concrete in the mix of design approaches. The house being designed by the Wash U – St. Louis team consists of a single precast concrete structure intended as a demonstration of integrated advanced building technology and a compelling alternative to traditional wood, light-frame construction. For the first time, Solar Decathlon 2017 includes a Water Contest, so you’ll see plenty of strategies for minimizing water use and maximizing water re-use, such as greywater reclamation, filtration and re-use; rainwater catchment and filtration; and low-water landscaping. UC Davis is making water the central focus of its Our H2Ouse (pronounced “Our House”). The team intends the design to respond specifically to the super drought that has gripped its home state of California for several years. Two teams are bringing houses designed for active seniors. Both houses feature key aging-in-place design elements such as adjustable countertops and wheelchair accessibility. However, the teams each present unique solutions to serve this growing market. Team Las Vegas is constructing a house that features a retro 1960s aesthetic, but is completely tricked out with an integrated home application system that connects the occupants with security, heating and cooling, and lighting control from any mobile device, at home and away. The team from Northwestern in Chicago has conducted interviews and home visits with individuals and couples who represent its soon-to-retire baby-boomer target market. The team will continue to engage these individuals for user testing and feedback throughout the process of building the house to ensure the finished product truly meets the needs of its intended occupants. Architects use the expression “rooted in place” to describe a building that responds to the environment around it and supports local cultural values. These three teams have developed designs to respond specifically to their unique locations. Team Alabama’s house features classic southern style with large overhangs and a welcoming front porch. The design is also inspired to respond to devastating tornados and includes a “strong room” that extends below the level of the house’s subfloor to allow permanent footings, so that even if the house around it is impacted by a tornado, the room and everyone in it survives. What could be more fitting than a BEACH house from Florida! In this case, however, Team Daytona Beach is designing Building Efficient, Affordable, and Comfortable Homes (BEACH) that feature a forever-home design plan, allowing the homeowners the freedom to grow and stay in the house as long as they wish. Passive, energy-neutral technology is incorporated throughout the house and designed to perform in Florida’s hot, humid climate. 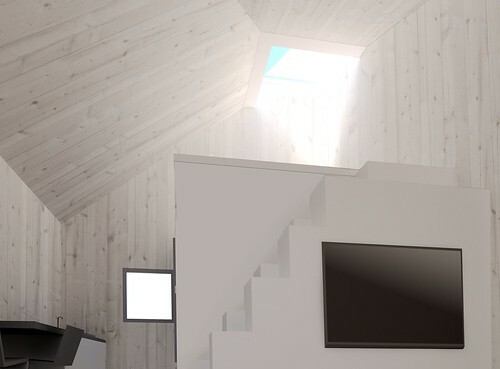 West Virginia is Offering Appalachian States Innovative Sustainability, or “OASIS,” a house the team intends to embody purity, privacy, and healthiness. These three core design principles were chosen in response to the mix of a rich cultural history rooted in the natural world and the impacts of industry in the Appalachia region. The design of OASIS combines modern technologies, traditional features, and reclaimed materials to create a house that both evokes and improves on the past while fitting right in with West Virginia’s increasingly modern, urban architecture. Competing at the Solar Decathlon is just a first step for the teams and the houses they design, build, and operate. Where each house goes after the competition is up to the team. 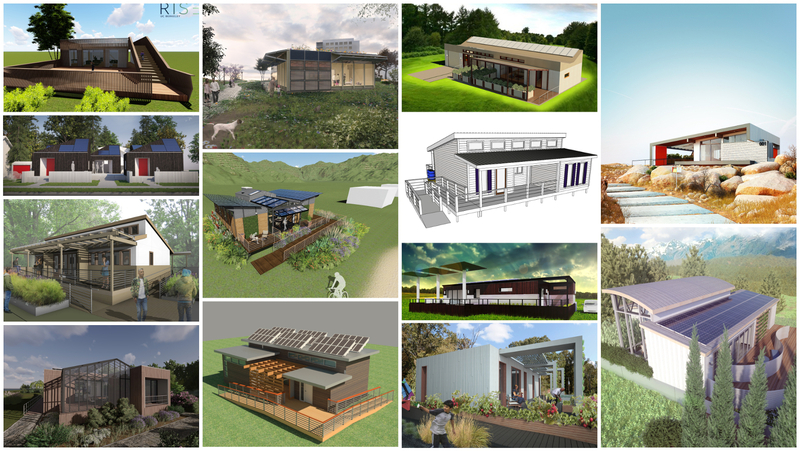 These four teams have plans to integrate their Solar Decathlon houses into a larger community context. 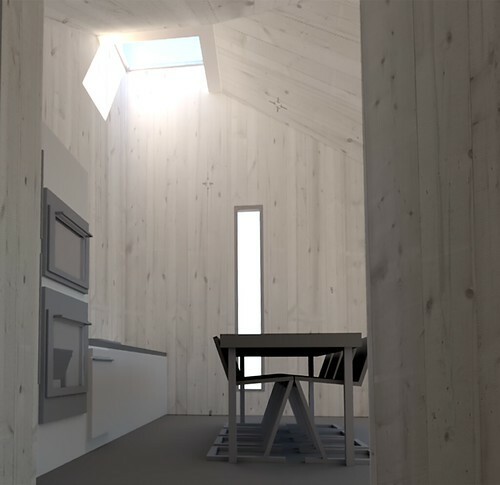 Intended for urban infill in Richmond, California, where land is scarce and expensive, the UC Berkeley/DU team set out to design a home that is simple, affordable, and sustainable. The result is R I S ☰ (RISE), a single-family home that meets the requirements of the Solar Decathlon competition, but is ultimately planned as just the first floor of a three-story multifamily housing building. The house design features moveable walls, so the unit can transform from a one-bedroom to a two-bedroom unit, depending on the needs of the occupants. 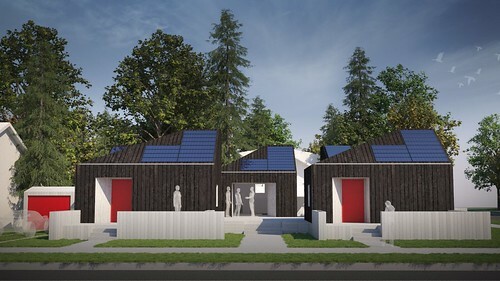 Washington State’s Solar Decathlon house is planned as part of a village of not-quite-tiny houses that can fill an urban lot, which already has access to services, infrastructure, and utilities but may be a little too small or oddly shaped to be attractive to more conventional development. 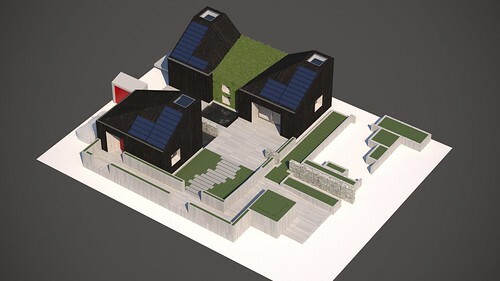 The sustainability of the Swiss Team’s Solar Decathlon house goes beyond energy and materials. Its house is designed to be highly flexible so that over its long lifetime it can be whatever the community around it needs it to be—from a house to a community center to a bike shop or grocery store. 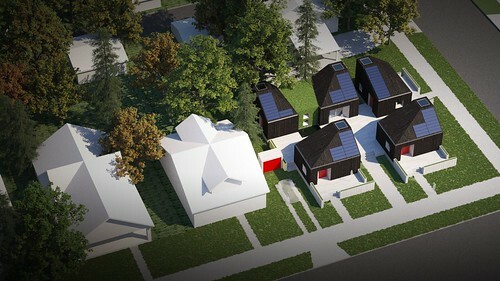 The Missouri S&T team will locate its SILO house in a solar village on campus, where it joins houses from five past Solar Decathlon competitions. Collectively, the village and its houses are called the S&T Solar House Project, which is a truly immersive learning experience, where student team members live in and learn from the existing houses while designing and building another one. This sneak preview can give you an initial idea of the design approaches you’ll find at Solar Decathlon 2017, but there’s so much more to see. Visit the team pages to check out additional photos, videos, and details about the house (or houses) of your dreams. This entry was posted on Monday, February 6th, 2017 at 2:59 pm and is filed under Contests, Solar Decathlon, Solar Decathlon 2017. You can follow any responses to this entry through the RSS 2.0 feed. Both comments and pings are currently closed. Washington State University enters the U.S. Department of Energy Solar Decathlon 2017 with a house designed for a community of tiny homes that share amenities—even an electric vehicle. The community is designed as an urban infill project that adds density in areas already served by important infrastructure, such as transportation and utilities. This project functions within the context of a smart city—or a place where digital technology is integrated with a city's assets. The Washington State house combines machine learning, energy storage, smart grid connectivity, and heat recovery to find efficiencies and reduce energy consumption. Many of the technologies that make this house unique are leveraged from research across multiple areas of the university. A smart building platform based on research conducted by affiliated university faculty.